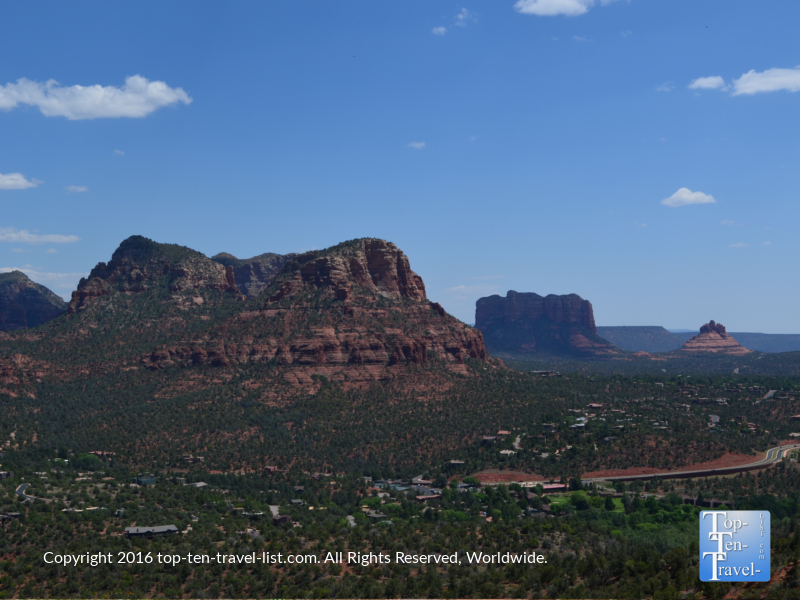 Hiking Hotspot: Sedona's Breathtaking Airport Mesa Loop Trail - Top Ten Travel Blog | Our experiences traveling throughout the US. 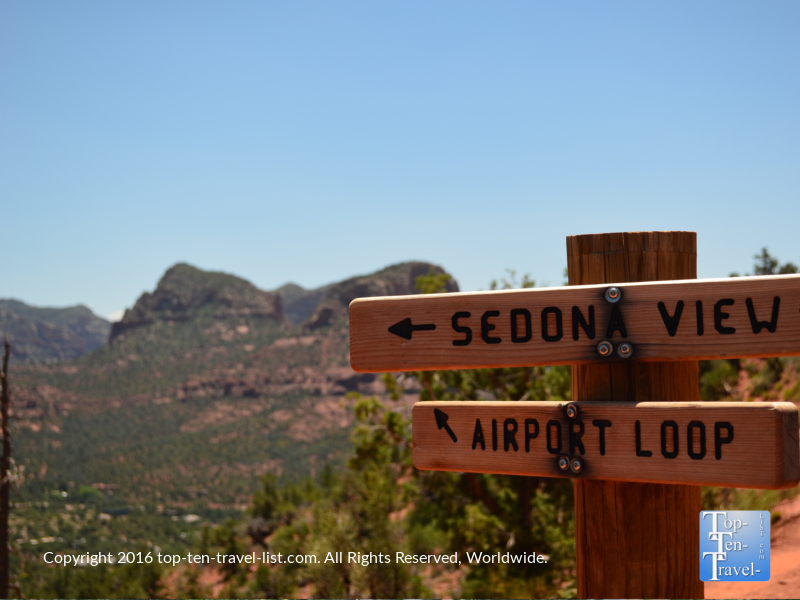 The Sedona Airport Mesa Loop is one of the area’s scariest & most scenic hiking trails. 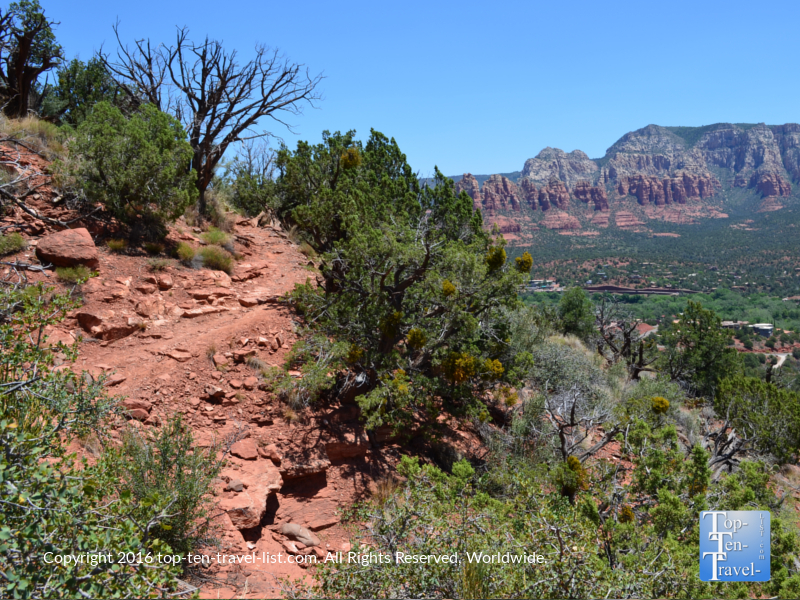 Not only does this trail offer amazing views of many of Sedona’s most stunning red rock formations along a steep, narrow course, but it also happens to be one of 4 vortex hikes. Incredible views from the vortex lookout. Arrive early to get photos without the crowds! Vortex sites are areas of enhanced natural energy where the energy supposedly swirls out from surface of the earth. At a negative (masculine) vortex like Airport Mesa, you may feel a special sense of energy or excitement. Many people believe that natural healing can take place at these vortexes. 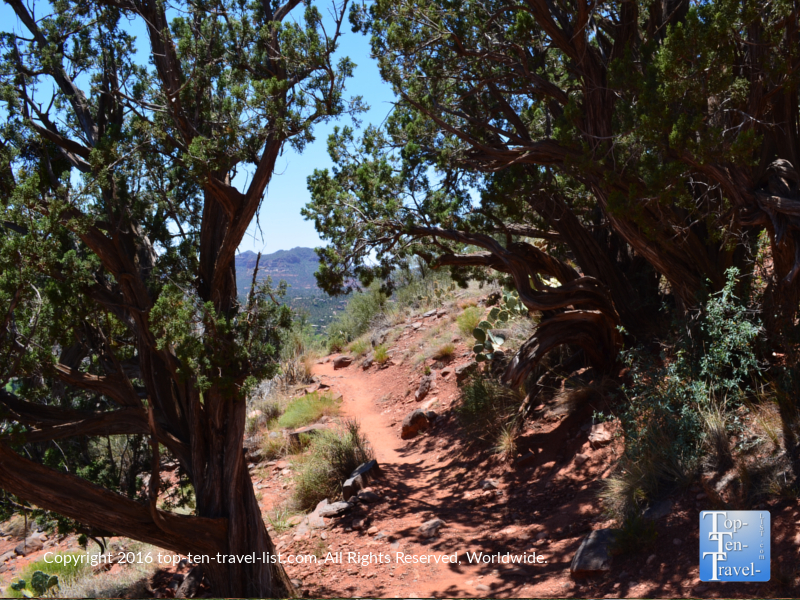 Areas where you see a twisted juniper tree are believed to be the most concentrated sources of energy. 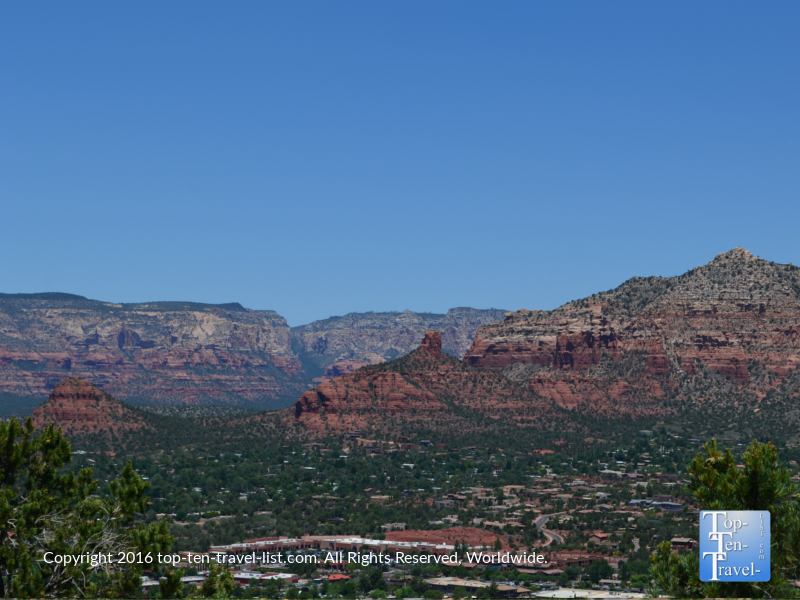 While Sedona once used to be a sleepy town, it now sees millions of tourists per year who are interested in exploring these vortex sites, spiritual healing, and other natural treatments. It all started back in 1980, when a psychic named Page Bryant discovered these vortexes. These twisted juniper trees are supposedly a sign of a strong vortex energy. Be on the lookout for trees like this during your hike. The Airport Mesa trail, which circles around Tabletop mountain, is very exciting as there are big views and big scary drop offs where a foot or so out of place could mean falling. 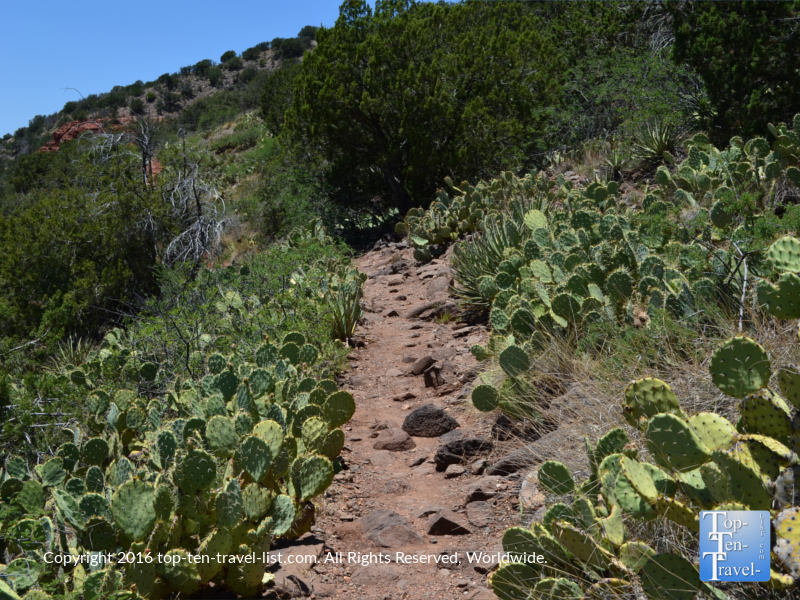 The first mile and a half takes you along a very narrow trail with several steep drop offs. If you are all afraid of heights, you may want to skip out on this one! At a few points along the path, the trail is barely more than a foot wide. Despite the scary nature, the trail is very beautiful with unending gorgeous views for the entire first 2 miles. And, it’s an excellent place to take photos, especially around sunset. One of the many scary drop offs along the trail! As you can see, anyone scared of heights should choose another trail! Along the way you can connect to the short side trails, Tabletop and Bandit, for more stunning views of the rock formations. These are worth the extra effort on cooler days when you have the extra time, although I wouldn’t recommend extending your hike more than necessary during the hot season. If you do hike in the summer, set off before sunrise. Once you loop around (near the 2 mile mark), the views become a little less exciting, however, there are more trees and a little bit of shade, providing a much needed break from the intense heat. The trail gets a bit rocky, so a hiking stick and good shoes comes in handy for this portion of the trail. The trail is about 3.5 miles round-trip, although most of the times the main parking lot will be full and you will need to park at the scenic overlook lot. 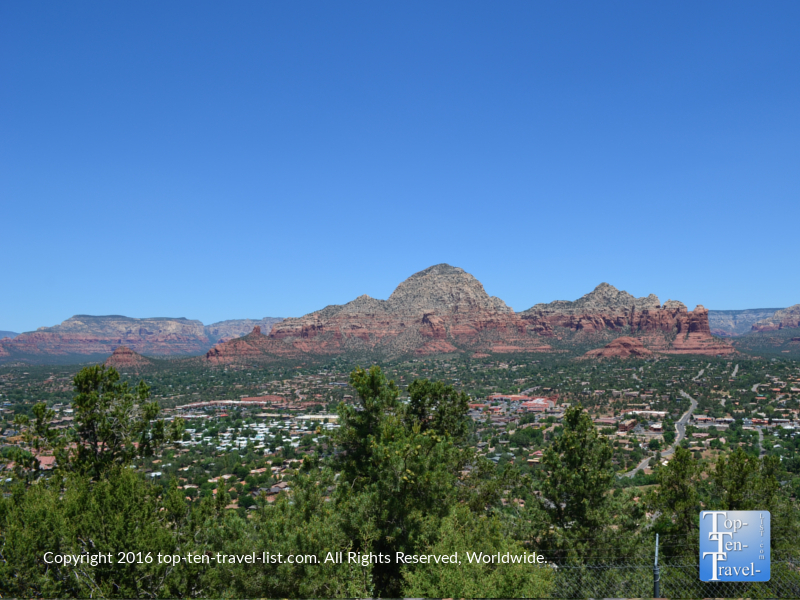 From here, you will take the 0.6 mile Sedona view trail to get to the Airport Mesa trail. This trail is downhill at the start and uphill on the way back, which is really tiring after completing a 4 mile hike! This means you will be hiking about 4.5 miles in total which really is not fun during the heat of summer! 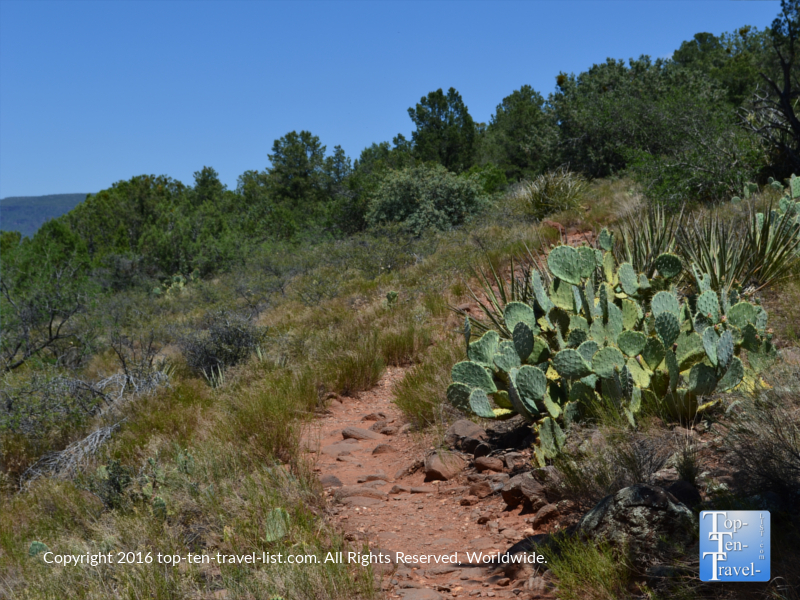 Keep in mind that both trails can be unbearably hot during the summer months. I would rate the trail as moderate due to the intense heat, distance, and numerous slight inclines along the way. A separate short trail takes you to the vortex site. You will see many more people around this area than on the actual hike. This is a little climb uphill (there is a rope and some steps to guide you or you can use your hands to climb up on the rocks). 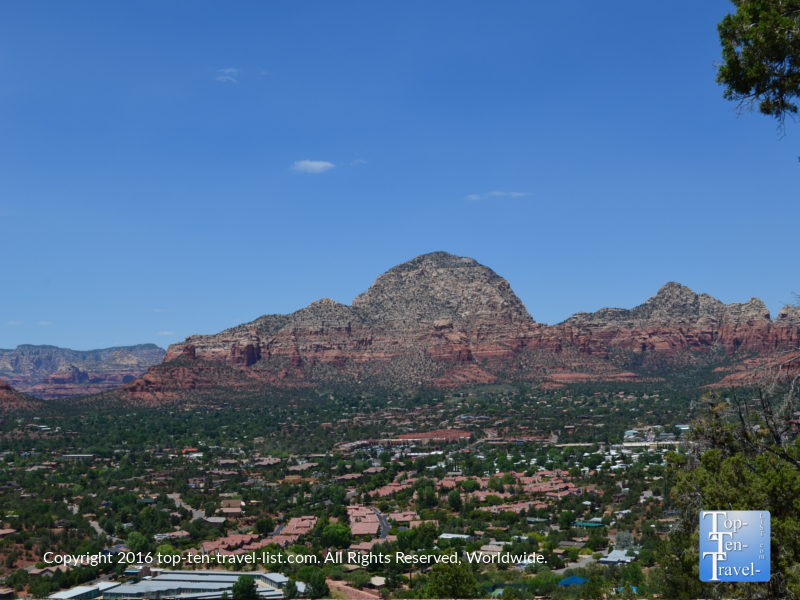 From here, you will have more amazing views of the stunning red rock formations. It’s worth the side trip after your main hike as it does not take up much time and the views are fantastic. 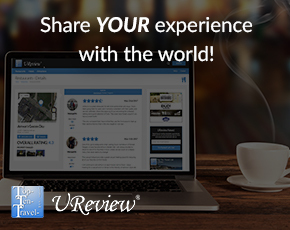 Even if the vortex has no effect on you whatsoever, the gorgeous views sure are relaxing and awe inspiring! Vortexes are known to be masculine or feminine in nature, or as in the case of Boynton Canyon, a balance of the 2 energies. 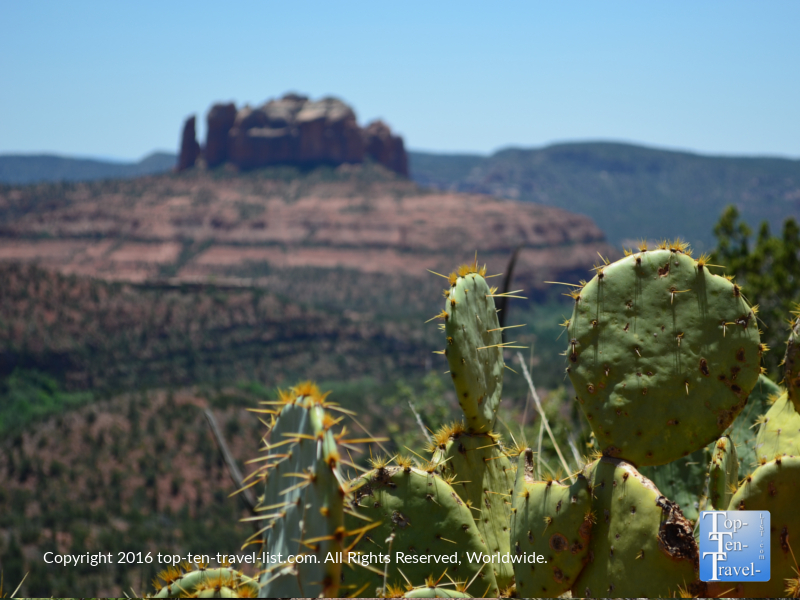 Airport Mesa is known to strengthen the masculine side, which means that you might feel more energized, active, and determined when in the area. This particular vortex is very popular as it located the closest to the center of town. 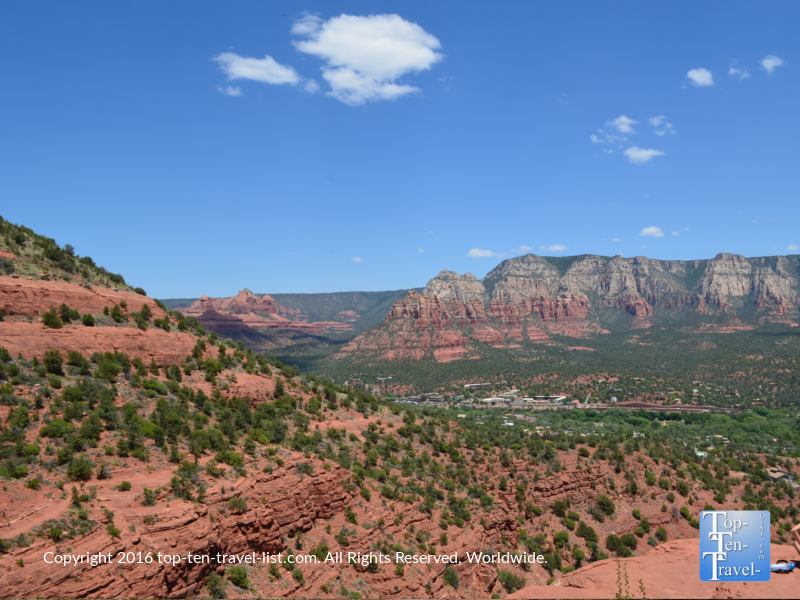 Other vortex hikes include Boynton Canyon (a balance of the 2), Cathedral Rock (feminine), and Bell Rock (masculine) . 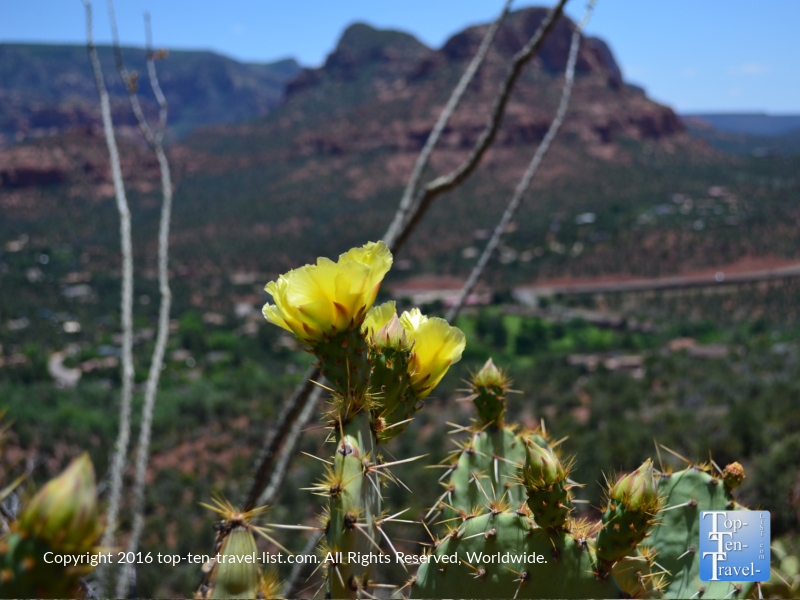 Overall, Airport Mesa is one of the more scenic hiking options in Sedona. 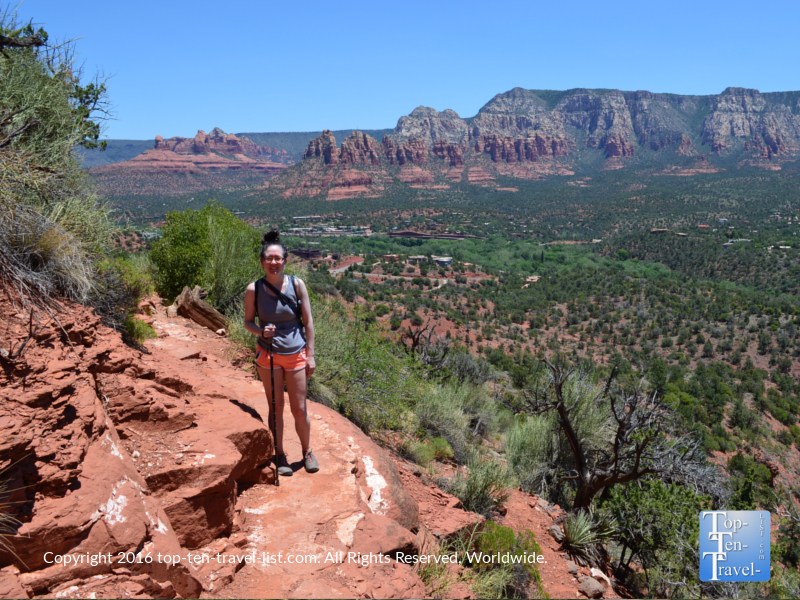 As long as you are not afraid of heights, the trail itself is not overly difficult, just a bit long (plan 2-3 hours total and a bit more if taking the Sedona View side trail from the lookout area). 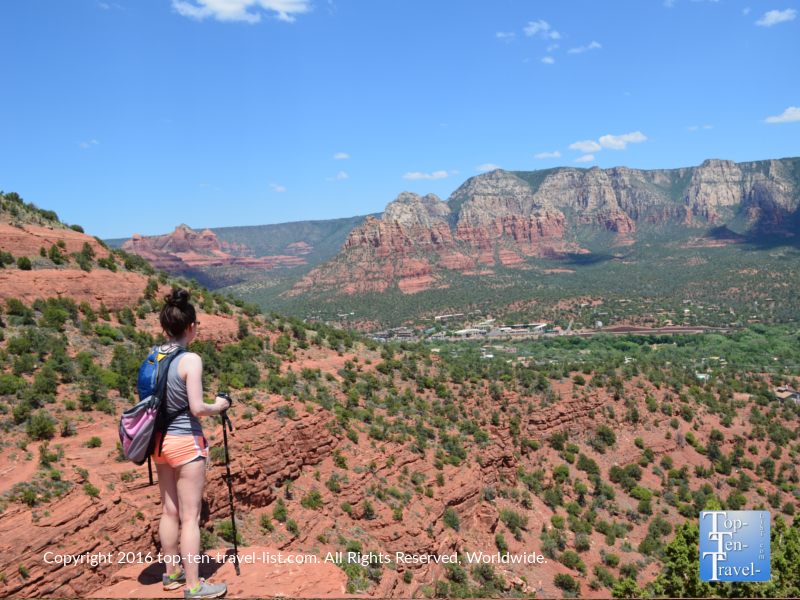 You get a great workout, incredible views, and a visit to a vortex site all in one hike! Plus, the views from the lookout are pretty incredible too! 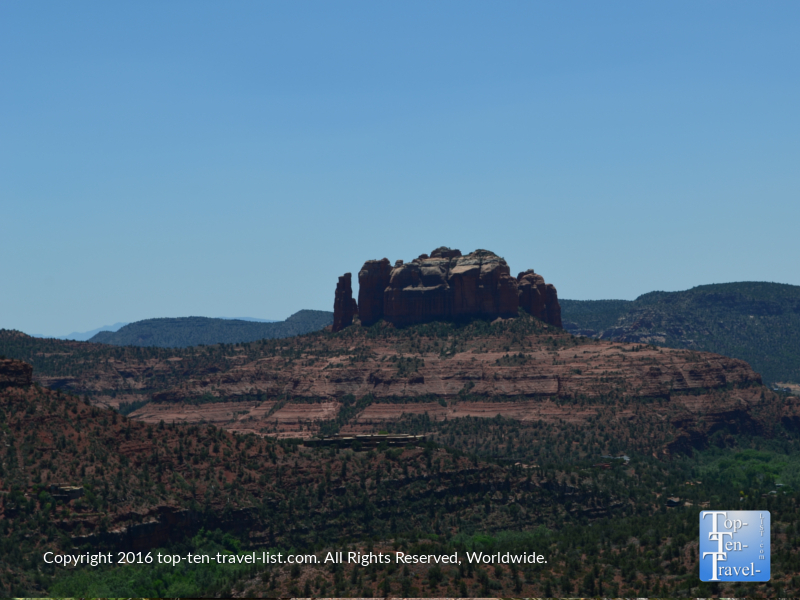 The Sedona Airport Lookout is located at: 538 Airport Rd, Sedona, AZ 86336. 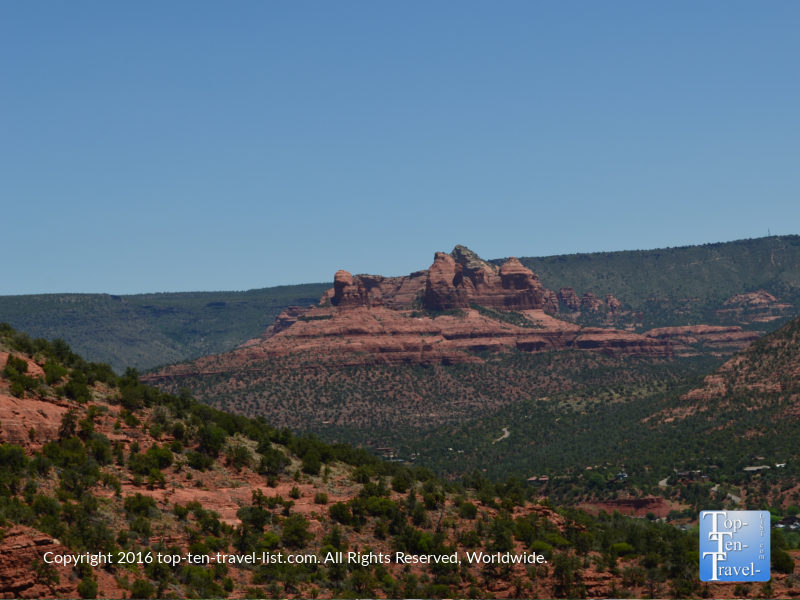 Here you will find a huge parking lot from which you can take the short Sedona View Trail to get to the Airport Mesa trail. This trail was placed here so that people would not walk along the dangerous road. Be sure to check the very small Airport Mesa parking lot just to be sure there isn’t a spot open. It doesn’t hurt to look, although with less than a dozen spots, it probably will be filled, especially if you arrive too late. Note: Mountain biking is not recommended on this trail due to the rocky terrain and narrow drop offs. Tips: Drink lots of water along the way and hydrate afterwards. Eat breakfast before your hike and refuel afterwards. 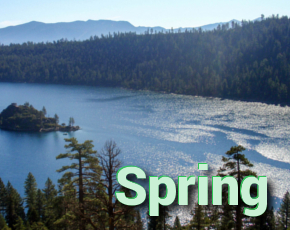 Plan this trail in the cooler fall or spring season (during the summer afternoons temps often reach the high 90’s). Wear good hiking shoes and carry a stick for extra traction. Be careful around the narrow edges -take your time!